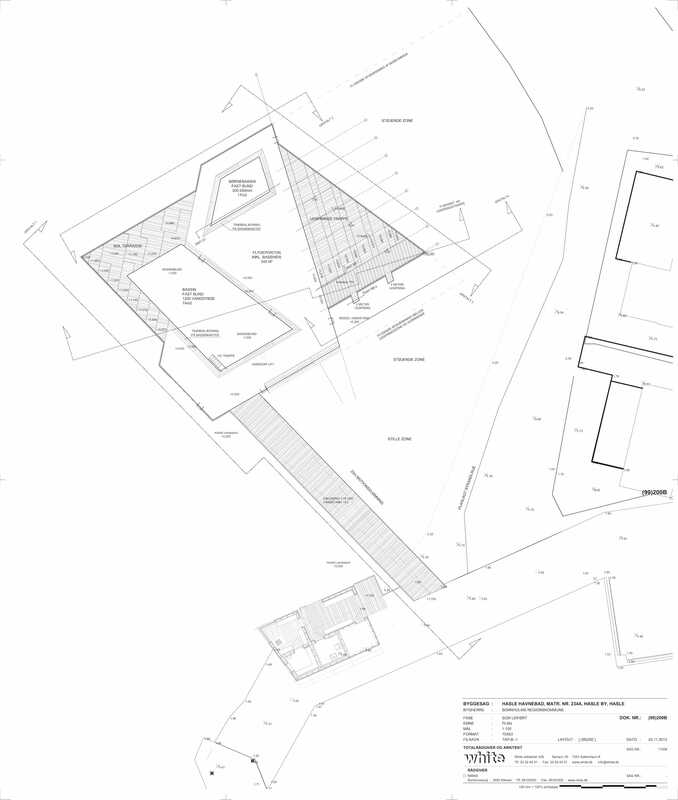 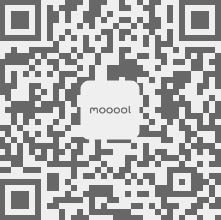 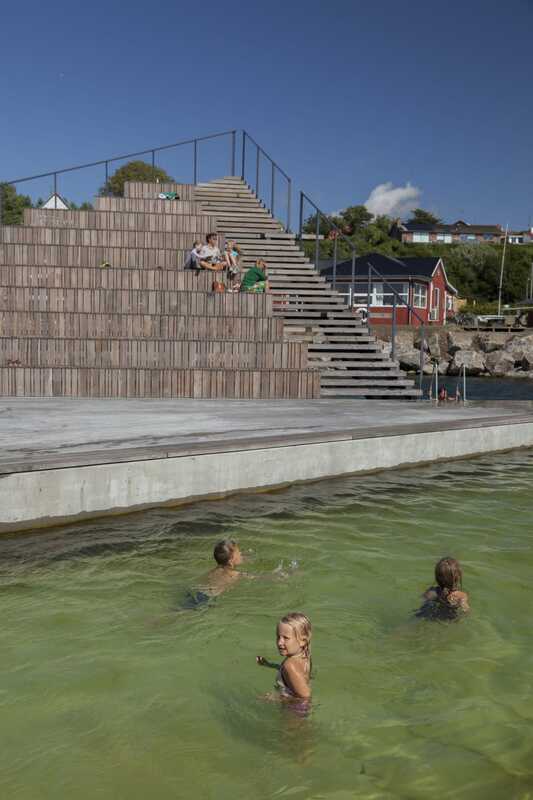 Thanks White Arkitekter for authorizing the publication of the project on mooool, Text description provided by White Arkitekter. 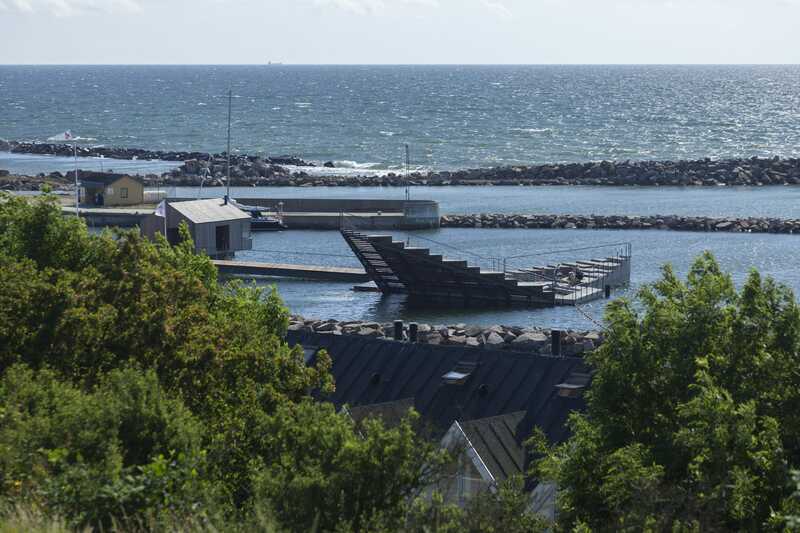 White Arkitekter：On the Danish island of Bornholm, the small port town of Hasle is renowned for its lingering sunsets. 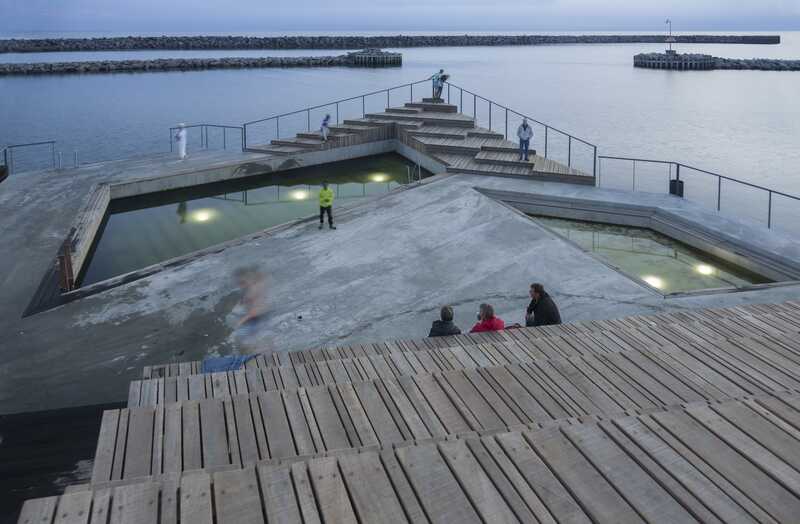 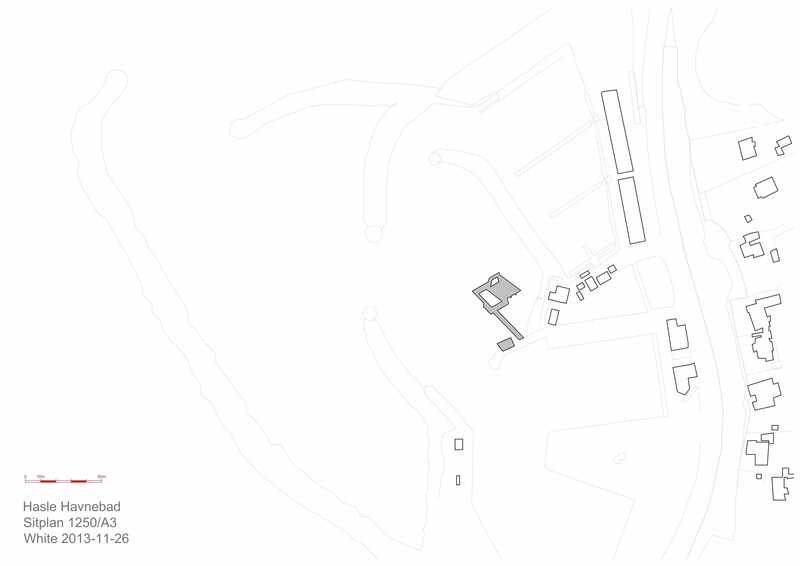 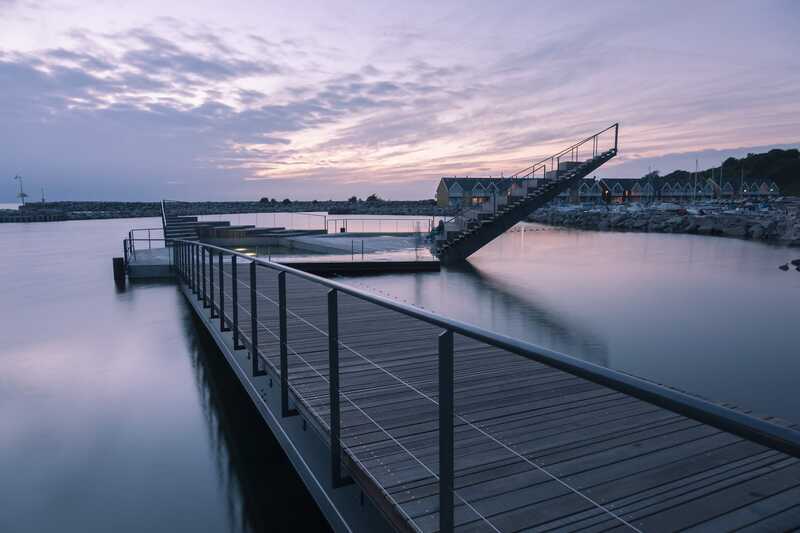 Hasle Harbour Baths was the first project commissioned by the island to boost its developing tourist industry; a social gathering point in the water, where people of all ages and abilities can bathe, relax and enjoy the spectacular sea views and sunsets. 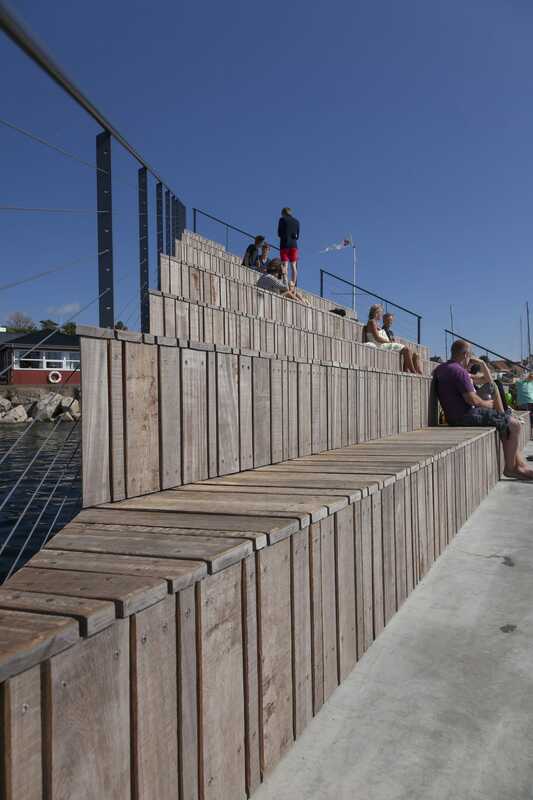 The main stair formation combines a number of functions: Walking steps have a rise and run of 170 and 300 mm; Diving platforms are integrated as extensions of the steps; Seating is laid out in a staggered pattern, following the module of the walking steps; These platforms have alternating widths that accommodate upright seating as well as more relaxed postures.